Spring is always crazy. 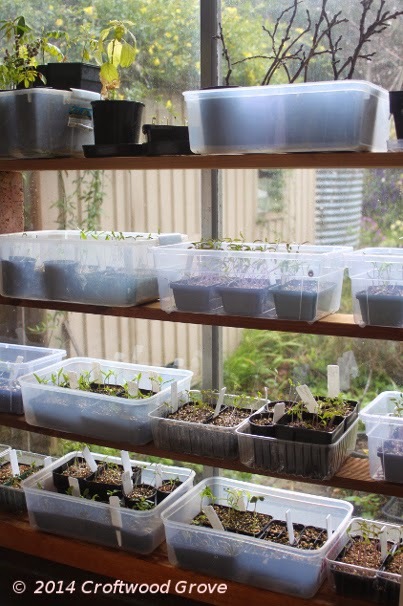 The first seedlings have moved from the propagation boxes to the window sill. Some have already had to move further. On to the decking outside, but where they are still protected from frost. How is your spring planting/sowing going? Isn't it a marvellous time of the year?! The cook and I are back in Australia; thanks for keeping the Blog alive in our absence. I like the look of all those seedlings - perhaps we can get together for a swap-meet?